Welcome to Tango on Broadway! 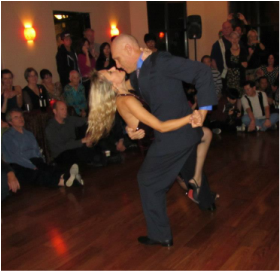 ​Whether you are looking for beginning Argentine Tango classes or just where to go and dance Argentine Tango in Sacramento, you've come to the right place! "It is the folk music of the Argentine people, born from their hearts. It first emerged in the lower-class districts near Buenos Aires, and for a time it was regarded as indecent and disreputable. But the people took it into their hearts, and there it put down deep roots. Today, it is our national music and is loved by people all over the world." We have weekly Argentine Tango classes for Beginners, Intermediate and Advanced dancers. Our Milonga is every Friday Night at 8pm. Special 50% discount for First Time Students! Ask about our Package Pricing too!